Over the last few months I have come across the name “Harry Clarke” many times. This church has a remarkable stained glass Harry Clarke window dating back to 1921 but unfortunately I could not gain access to the interior. I will try again within the next few weeks. Sandford Parish Church was designed by Robert Newenham who lived at nearby Merton House. The land for the church was provided by George Baron Mountsandford. 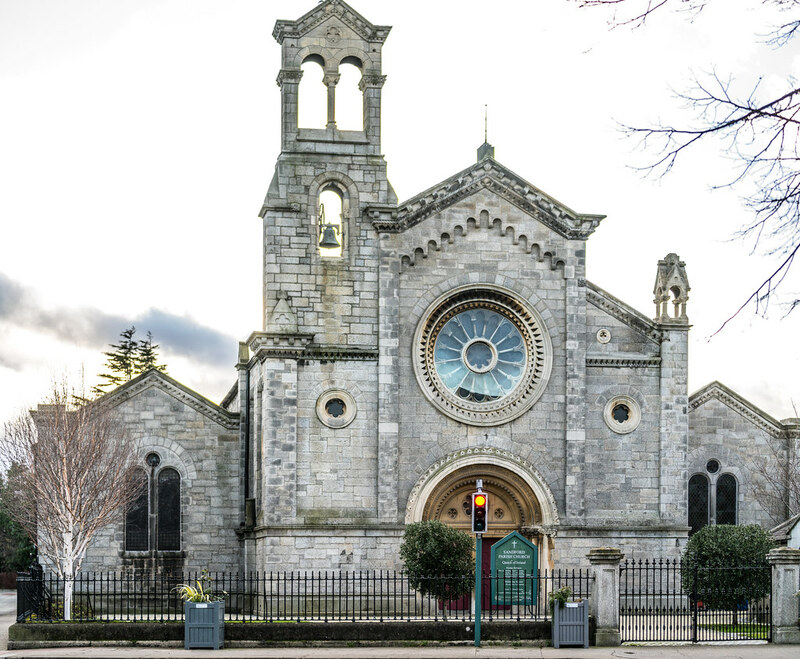 The original church opened in 1826 but was given a new façade, designed by architects, Lanyon, Lynn and Lanyon, when Sandford became a parish in its own right.